Residents of Oregon who are disabled are entitled to obtain parking permits from the DMV in the State of Oregon. You can apply for placards, parking permits, and enjoy other privileges. The laws in the State of Oregon are not as restrictive as those in other states when it comes to paperwork and proving that you are disabled, but you must still have your paperwork in order if you are going to benefit from the Oregon laws governing disabled drivers. The State of Oregon issues renewable parking permits for residents who have permanent disabilities, special permits for wheelchair users, permits for organizations to transport people with disabilities, and also special permits for wheelchair users. Temporary permits are also issued for non-residents, and people who are temporarily disabled. Oregon differs from many states in that the only state-issued disability plates and placards are for disabled veterans. That said, though, Oregon does honor disability placards and plates from other states. In Oregon, you can obtain a handicapped parking permit that will let you park in spots that are reserved for people with disabilities. You can also legally park in zones that are designated 30 minutes or less, without paying, if you have a disabled permit. Your temporary disability permit is valid for six months. The state assumes that you are going to be disabled temporarily unless notified otherwise. So if you still need to use disabled parking spots, then you will have to re-apply for your permit. Temporary disability permits are not renewable. Your disability permits will usually expire at the same time as your Oregon driver’s license. You will need to complete the request for disability parking privileges form again, and again provide confirmation from your doctor or other health care provider to the effect that you are disabled and need these privileges. In the State of Oregon, disabled veterans are entitled to special parking privileges. They must, however, apply in the same way as other disabled residents, filling out the same forms. 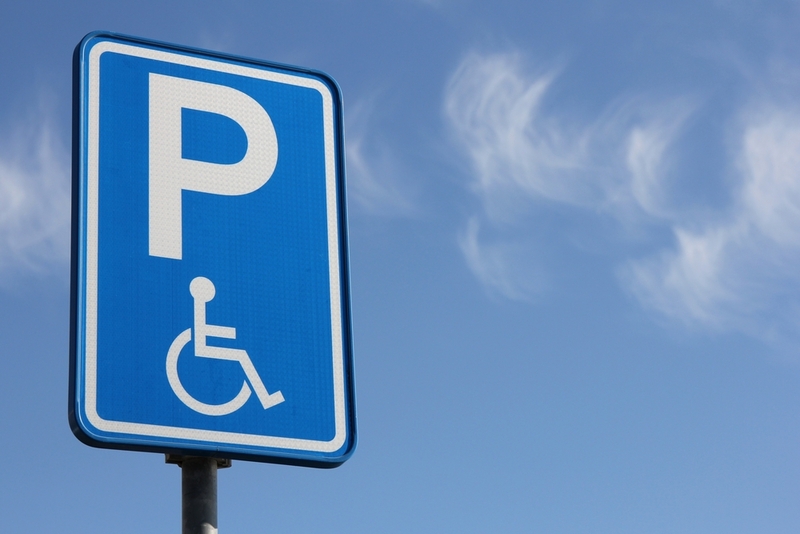 If you are a disabled resident of the State of Oregon, then you are entitled to certain special rights and privileges when it comes to parking. Keep in mind that although the laws in the State of Oregon are somewhat less restrictive than they are in other states, the state is still not automatically going to grant you these privileges. You must fill out the appropriate paperwork and prove that you are entitled to them.